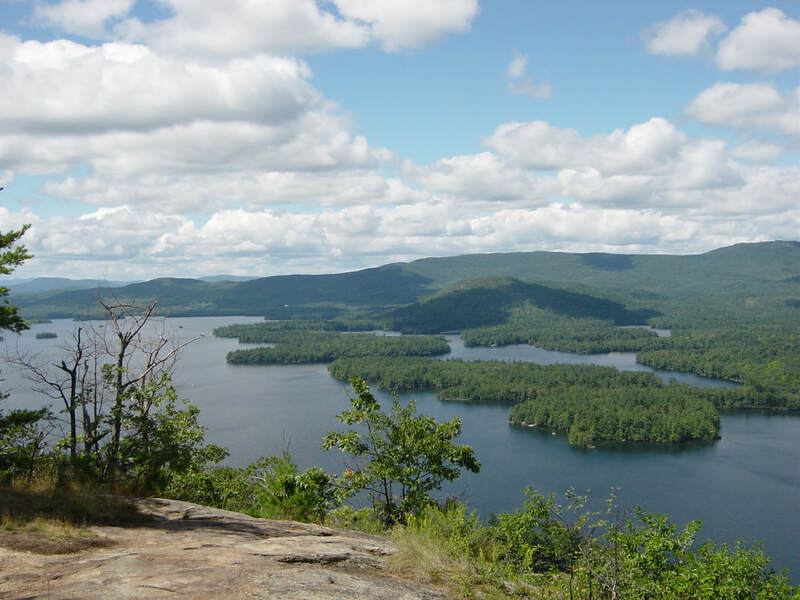 As one of the largest and most rural townships in New Hampshire, Sandwich is an outdoor enthusiast's delight. Hike, bike, or just saunter through fields, woods, hills and streams. A lovely place for a walk is Chapman Sanctuary/Visny Woods, with 160 acres of woodlands and meadow open to the public for recreational use. There are 10 miles of trails, including a self-guided nature trail developed in conjunction with the UNH extension service. The sanctuary is open to the public year round for hiking, bird watching, cross-country skiing, and snowshoeing. 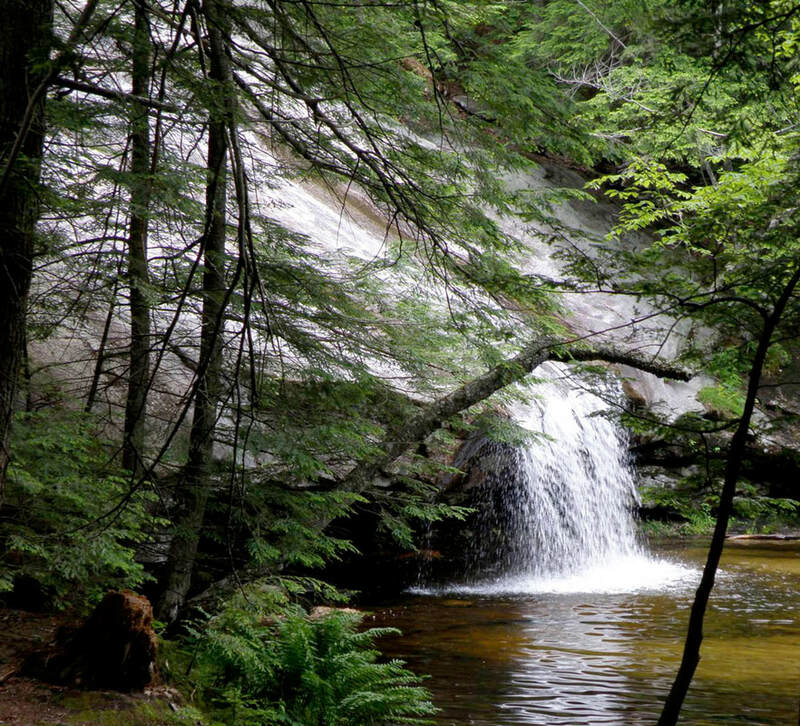 This article from WMUR describes Beede Falls: “Beede Falls and the Cow Cave, with its sandy shallow swimming pool and lower falls area at Mead Base, is a beautiful quarter-mile walk, perfect for a family picnic on a hot summer day." 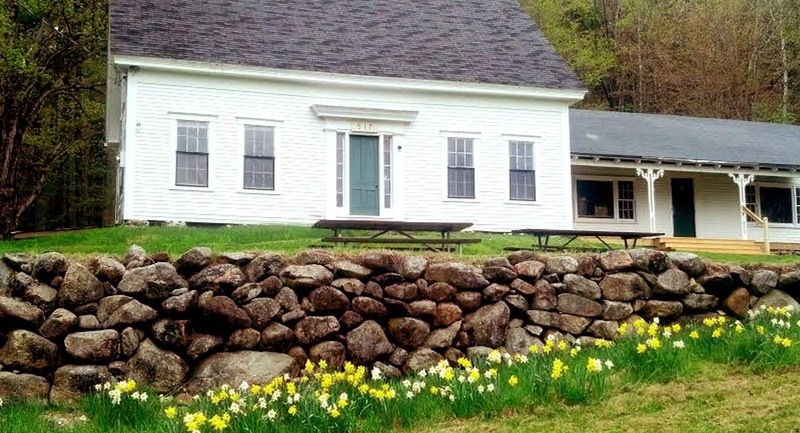 More on this area from the Sandwich Historical Society: Sandwich Notch Road. Mead Base Conservation Center is the southernmost entry to the White Mountain National Forest (WMNF). The Base includes an old farmhouse, several outbuildings and cabins and three campsites on 11 acres. With year-round parking, Mead Base serves as a launch pad for several trailheads including the Wentworth Trail up Mt. Israel, the Bear Camp River Trail, and the hike to Cow Cave and Beede Falls. Many birding, tracking, nature and historic walks begin at Mead. Sandwich Trails ~ from National Geographic's AllTrails site.